You must be a member of the Marseille Art Group to attend this activity. Would you like to join this group? 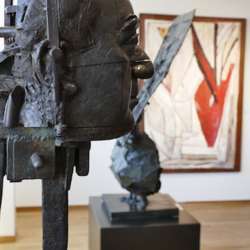 On the occasion of the 20 years of the Foundation the Museum dedicates its walls around iconic works corresponding to key exhibitions that marked their 20 years.